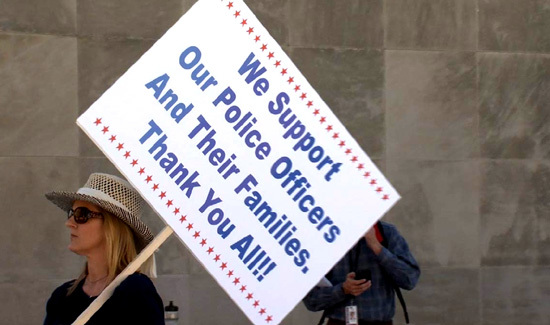 Tuesday, people gathered at two rallies to show support for every officer in uniform. One group of about 25 people gathered at Hunter Park; it was among the first to publicly come out with unwavering support of Officer Betty Shelby. Shelby is charged with first-degree manslaughter in the death of Terence Crutcher. The group included active law enforcement, like Rogers County sheriff Scott Walton, and retired officers. They’re concerned about what they consider to be a rush to judgment by the district attorney and say if this might be a case where use of a firearm was appropriate—with an uncooperative person who possibly reached into a vehicle when it was unclear if he was armed.